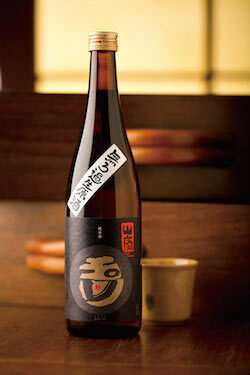 Made with natural ambient yeasts that thrive within Tamagawa’s brewery, “Red Label” is rich with acids and amino acids for a robust explosion of flavor. Bottled right from the press without filtration, dilution or other intervention. Red Label’s big taste makes it a dynamic match for a vast range of foods, including stews, grilled meats, oysters, and even challenging blue cheeses.